National Scholarship achiever B.A. and M.A. Editor of ‘SOUVENIR’ published on the occasion of Annual Alumnae Meet. ‘Comments on Dress Code for Women: Infringement of Human Rights’, Published in Abstract Book of UGC Sponsored Two-Day National Seminar on ‘ State: Protector or Violator of Human Rights’, organized by the Dept. 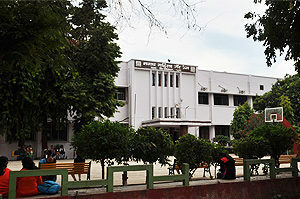 of Political Science, Magadh Mahila College, Patna University, Patna, February 25-26, 2012. 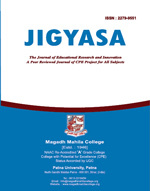 ‘Microfinance: An Overview’, Published in Abstract Book of UGC Sponsored Two-Day National Seminar on ‘Role of Micro Finance In Improving the Socio-Economic Status of Women Members of Self Help Groups’, organized by the Dept. 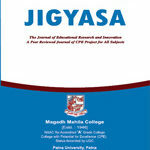 of Political Science, Magadh Mahila College, Patna University, Patna, March 16-17, 2012. It’s our proud privilege that faculty members of our Department are running Remedial Coaching at Undergraduate Level for Scheduled Castes, Scheduled Tribes, OBC, and Minority Community students on behalf of the College under UGC Scheme, since December.2010. Actively engaged in Community Services in association with a renowned NGO- ‘LOK SHIKSHA SANSTHAN Mzaffarpur Registration No -527|83-84. The services which has been given by the said NGO is Health Awareness Programmes, Adult Education Programmes, Nutrition Awareness Programmes for Women and Children. The NGO has also running PALNA GHAR for those 0 to 6 year old children whose mothers are working as Land Laborers in the concerned village. Community work such as values of National Integration, secularism, democracy, socialism, humanism, peace, scientific temper, flood or drought relief, small family norms etc. Always doing community work in association with the aforesaid NGO for Flood Relief ,drought relief and doing Counseling Programmes for concerned village women and land labourers for saving family norms related to Interpersonal Issues, Relationship Issues ,Physical-Mental -Health issues, Nutritional Issues etc. Organizing Adult Education Programmes for the women of Vaishali Navada and Jaitpur ,village,Dstrict of Muzaffarpur in association with aforementioned NGO at Samudaik Bhawan Navada,Muzaffarpur. 11 Member, Discipline Committee (for Teachers, Officers and other Staff of the University, PU. 12 Member, Sports Committee, PU.